We provide municipal and private firework displays to cater for budgets from £1,500 + vat to £50,000 – or even further. 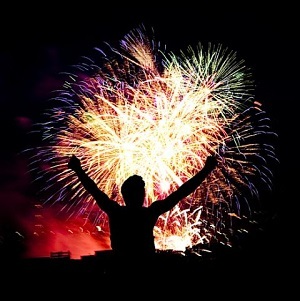 Heritage Fireworks will do all the planning, display design, health and safety risk assessments, site survey and pre-show briefing – all well in advance, all the while discussing with the client what they want / expect from the show, ensuring that you are delighted with the end result. We are fully insured and use only the latest and safest equipment and procedures. We can send you a web-link to a preview of your display so you can see what you will be getting. All of our shows are designed on a computer using a simulation of the display where we can fine tune your show, and where required, synchronise it to music with millisecond accuracy. 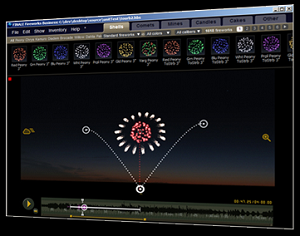 Because the system is totally wireless we have much more flexibility over the firework positioning – this means more dramatic displays.